Very happy with these tyres. they ride well, handle the wet and saved me hundreds of $$$ on well known brands. Highly recommend them and the service provided by Supercheap. Great value for money. 100% will buy again using Tyroola. Quick delivery service to my chosen fitting station. Tyreright @Prestons Nsw amazing fitting service. Thank you Tyroola for making my 1st experience buting tyres so simple. Great value for money. 100% will buy again using Tyroola. Quick delivery service to my chosen fitting station. Tyreright @Prestons Nsw amazing fitting service. Thank you Tyroola for making my 1st experience buying tyres so simple and stress free. I replaced the worn Michelin's with these cheapies to get me through the next year but I was surprised that they felt safer and quieter. I'm keen to see how long they last for. They may not compete well on the track but I don't drive on the track. They are great tyres for general use. Better to replace worn tyres with these than to persist with too expensive to replace tyres. The tyres look great and handle really well. Great value for money, I can not tell the difference between the Winruns and the Pirelli's that I previously had on the car. So far so good. I bought these for both my cars now. Very happy, great grip and wearing well. These tyres are excellent, quiet, smooth traction and great in rain. Very happy thanks. Great value for money, easy and professional service and won’t buy tyres anywhere else again. Only bought one Tyre as hit a pothole n destroyed one with only 4500klm on it. Thus far seems excellent in wet n dry n traction is fine.. driven less than 1000klm on it thus far ...value for money outstanding.. Fantastic budget tyres. Soft and comfortable ride. Quick delivery, love that I can pay these off with Afterpay and installation was smooth and friendly. Definetly recommend and will be buying my next set of tyres through here. Have just fitted and balanced these 4 new Winrun brand tyres to a second hand car I bought with 4 different worn tyres. After a couple of days I have to say these Winrun tyres are so much better than the original dodgy tyres. The tyres seem really good even though it was a really cheap price! Immediately noticed the change in driving. Great improvement overall. Very happy. Great value for money. Switched from Pirellis to these. Fitting process was seamless. No complaints! Excellent all round tyre. Soft , quiet, great in wet. Best value for money. They are really really good. However it has a tendency not gripping on straight line. But really good for fuel economy. Plenty grip at corners wet and dry. Braking distance isn’t really great. The tyres were quiet. Very happy with my purchase and will purchase again in the future. I am very happy and will heighly recommend it to every one. Great value for the money. tyres are great, cannot fault them at all. excellent value for money. will definitely be purchasing again. Great tyres! So cheap I thought I was robbing you guys. Delivery was quick, tyres were easy to fit myself. Road noise is minimal, dry and wet traction is near perfect. Will definitely buy again. I love them. So cheap yet perform surprising well. A fraction noisier than expensive tyres but well worth it. The tyres have been brilliant! Good value for money tyres. I purchased these tyres after researching many Chinese manufactured tyres. Having used various Chinese made tyres over the years i can confidently say these are the best too date. My main criteria was finding a Tyre that provided good wet traction from a harder compound Chinese tyre and based on the available reviews these were right up there. I am happy with the quietness at various speeds the main ones being 60 , 80 and 110 klm's p/h and yes i can confirm the positive reviews for these tyres regarding traction in the wet, It is surprisingly very good for a harder inexpensive tyre. The only downside to these tyres and has been mentioned in other reviews both here and other product review sites is my fitter and long time motor mechanic for all our family vehicles did mention they were a bit of a bugger to balance, Something to keep in mind when selecting a tyre fitter and perhaps sift through the reviews and find one with many good reviews for there fitting service. Hope this helps any potential purchaser of this brand. Good prices, grip well in the wet. Traction is good with no wheel spin. Very happy thanks. Very happy with tyres, they were delivered quickly. Tyres are quiet and overall I am happy with them. The fitment was good at Ultratune. Very surprised with the wet weather traction. Zero wheel spin on take-off and no concerns with braking or handling. Perform as well as tyres many $100's more. Way too early to tell on how long they will last but indications are good as there is no wear apparent after 5,000kms. Brilliant value for money,very happy. Really didn't expect such a good tyre considering the price. Service was fast and the best by far. ABC Tyre Power in Roseberry was also wonderful. I felt comfortable knowing that I had full control over my purchase journey without feeling pressured. Very lucky to have chosen the perfect fitting station as well. They were super accommodating and started early to help me get the tyres fitted. It would be pretty cool if the tyre delivery tracking bar you could have a rolling wheel icon though (said my product manager at work lol). You guys are great!! Totally recommending to all my friends and family, my workmates already know about you too!! Overall I’m really happy with these winrun’s! I was quite sceptical about the quality being they’re such a cheap tyre but they’ve definitely exceeded my expectations. They’re great in the dry & amazing in the wet. I was also worried maybe they’d be loud but I haven’t noticed any difference between these and my old Nexen tyres. I would 100% buy the winruns again. I didn’t find any difference between Bridgestone and Winrun however there might be in their making. But so far so good. No complaints. Chinese tyres don't have a very good reputation, but some appear better than others and the Winrun are pretty good value. They are replacing some of the lower priced Michelins and appear to be quieter, better ride and comparable in the wet. So one happy camper! Great tyres that wont break the bank and do as good a job as tyres twice the price. I purchased these tyres for the rear of my car only as I always use good quality on the steer. These tyres have excelled my expectations. They hang on fairly well in both wet and dry conditions during 'normal' or 'unspirited' driving. However they do generate a bit of road noise, nothing a few extra decibels from the stereo can't fix. $212 for 2x fitted by Jax Narellan, I will definitely purchase these again. These tyres are very good value for money. They are a little Noisy at 100km. But other than the noise I can not complain. These tyres are better in the wet than the Dunlop ones I had on the car. Perfect for around town just a little noisy between 70-90 kph. Can live with that considering the low price. The tyres have really only done 20km so I can specifically rate them at this point. That being said the price and the business transaction through Tyroola is sublime!!! Two business transactions to date and both were exceptional. Great Money for value ,handling , looks, comfortable, but extremely noisy at low speed can be annoying. Better than I was expecting for sure. Bit noisier than the Bridgestones I was on, otherwise just as good. Not tested in the wet yet however. I have had no problems with the tyres in any condition that I have been driving in. 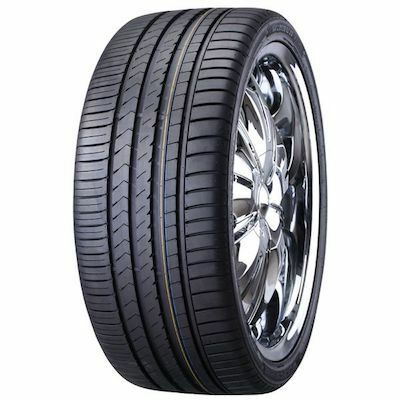 Great tyre for the money lasts a long time, and handles all kinds of weather with no problem. Some complain of noise but I have not noticed any. I have not had these tyres on my car for very long but my husband has an identical set on his car which he recently took on a trip from Brisbane to Sydney and he was surprised at how well they handled the trip. Said they gripped quite well in both the wet and dry conditions he experienced. For the price they really can't be faulted. My tyres are still new but so far the traction is great on dry and wet surfaces. The road noise is minimum. value for money. Great tyers and prompt delivery. Hassle free and rides better than I expected. I don't do all that many Klms per year, usually around the Berbs and the occasional trip to Brisbane northside. These tyres are great for my ageing E46 Beamer. Make Shaw you get your a wheal alignment from a reliable tyre fitting PS DO GO TO Top Gear Wheels& Tyres in Heidelberg West ,As thy would not do any thing When my tyres on the front of my car scrubbed out on the inside UNDER 12,000 Ks Not Happy Jan !!?? Only driven limited Kms but so far impressed. Ride a little hard and a little bit noisy under load but no worse than more expensive tyres I have had previously. Great price. Note: This is a hardwearing tyre with 420 treadwear. If want a softer more sporty compound, grab the Kinforest KF550 made by the same company. They're a couple of bucks more but are 320 treadwear rated and are W rated (higher speed). I waited and waited but the KF550 were double the R330 price until 2 weeks after I bought the R330 which I couldn't then return. Sigh. What can I say, you get what you pay for. These are great budget tyres and nothing more. But I'm sure no one thinks they will get performance tyres at this cheap price. Great value for money, nice quite ride and comfort handles well in both wet and dry conditions fitted to a 2004 Holden VZ ute. I have only used these on the front of my G6ET so far and only travelled a few hundred kms but so far so good. Happy with the value. Great value , certainly look the part , only driven 5,000 klms so far but they handle well in wet and dry . A little more noisy than more expensive tyres but not unbearable at all . I have found they do need the air checked more regularly and need to be topped up sometimes by 5psi fortnightly for some reason . Overall very happy , exceptional value and perform as good if not better than my previous pirelli dragon sport tyres i found very noisy . So far so good with only 1000 klms have noticed road noise increase over high dollar Michelin's that were replaced at 3 times the price so seem like value for money. One of them is out of round. Had 2 tyre places try and balance it, and went for a professional alignment at a specialist. It's definitely the tyre. Very cheap tyres, but you get what you pay for. Extremely noisy on decelerations and braking to an annoying point. Wouldn’t buy again. 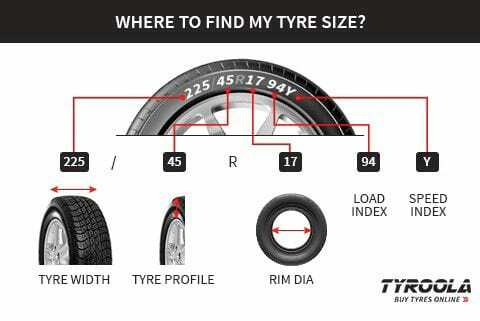 Unfortunately my tyres are not correct for my car as I have no spare and need runflat tyres but this was not brought to my attention at purchase. If I had known this I would have purchased the runflats. Now I am in a predicament of risking a flat and being stranded. Unhappy. Great value. Just right for the wife's Magna. Wont be doing this again. Not cheap when there is no set up to get fitted in my town. Not paying $40 a tyre. Still sitting in shed. Had to return tyres as 2 were faulty. Will not buy cheap tyres again. Cheap and horribly loud tyres. They wear unevenly, have horrible tread pattern (pic was generic for a reason), are cheap for a reason. Spend your $60 elsewhere, and get something better. Also they make a screeching noise on turns for no reason under normal driving conditions in the dry.